Where has all the rum gone? Why it's in our cupcakes! Along with a few other goodies from the Captain's private stock! 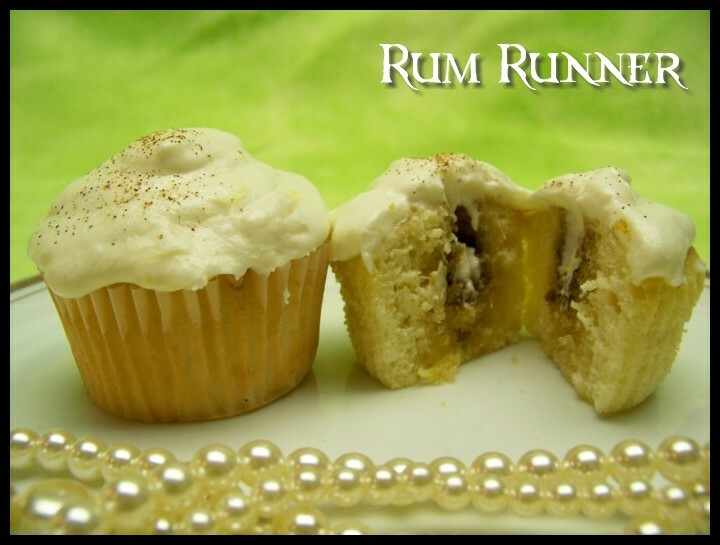 Yellow cake drizzled with a dark rum syrup and capped off with a pineapple rum frosting. White cake infused with orange liqueur and tequila, topped off with a lime buttercream frosting. A brandy and red wine cake flavored with fresh strawberry and peach tidbits, iced with a creamy citrus frosting. White coconut rum cake, topped with pineapple cream frosting and dusted with sweet coconut shreds. White rum and 7up cake, iced with a creamy lime frosting and garnished with mint. Moist Guinness cupcakes topped with an Irish Cream frosting - a combination of two of Ireland's best tastes!